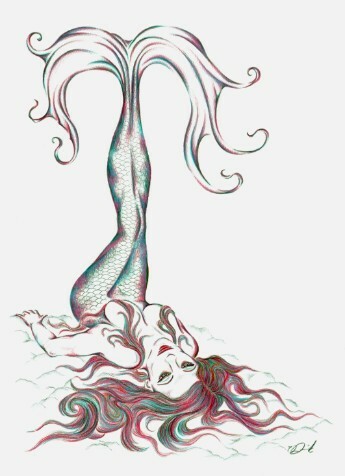 Isn’t it lovely? She said she was sending it to me and imagine my surprise when a huge gorgeous box appeared on my doorstep like a glittering asteroid from outer space. 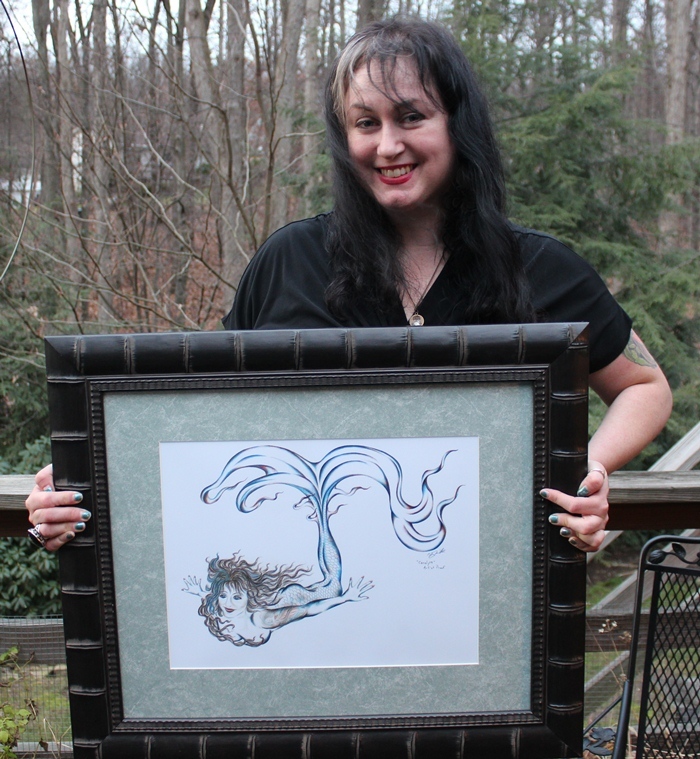 I will be posting an interview with Tammy here soon, but in the meantime you should bid on her art and/or consider getting yourself mer-maid over in colored pencil. 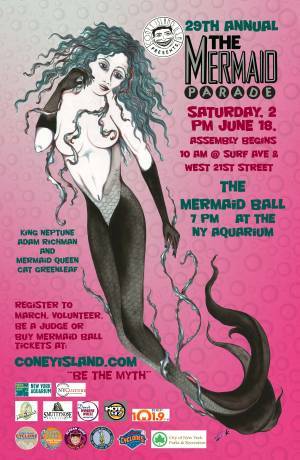 It’s like The Picture of Dorian Gray… but with your true mermaid self in the portrait and not some hideous monster! ← Swan Maidens! New Book Preview! Great stuff! I always get compliments on Tammy’s Sassy Flask.